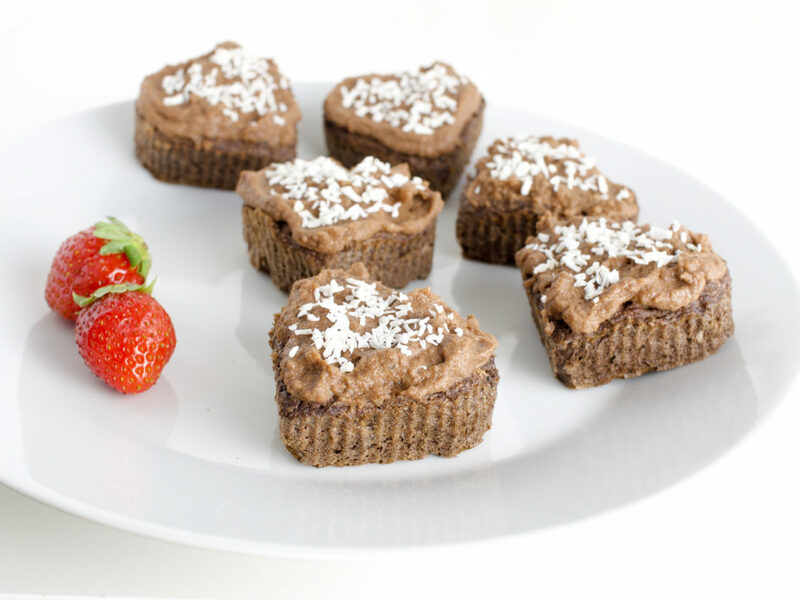 Coconut muffins with chocolate frosting - paleo - NOURISH TO PERFORM. A new semester of uni started and all I need is some brain food. 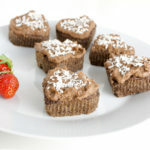 So I decided to create some filling paleo muffins with a delicious gut healing chocolate frosting. To make these muffins not only especially tasty but also healthy, I sneaked in two ingredients: zucchini to get some greens and an extra moist dough and some pea protein for extra protein. Normally, frostings are known for being high in calories, containing a lot of sugar and fat. THIS frosting is quite the opposite. Probiotic coconut yoghurt is great for gut health and gras-fed high quality gelatin has a lot of benefits including being good for your bones, joints, hair and skin. Raw cacao is rich in antioxidants and a great substitute to coffee to help you stay awake and energize. Mix the dry ingredients for the muffins with the egg yolk, zucchini and nut milk./Die trockenen Zutaten für die Muffins mit dem Eigelb, der Zucchini und der Nussmilch verrühren. Bake for about 25-30 minutes./Für etwa 25-30 Minuten backen. Mix the ingredients for the frosting and put on muffins after they have cooled down./Die Zutaten für das Frosting verrühren und auf die ausgekühlten Muffins geben.